How to paint skin and fabric digital painting. This video shows you how to paint skin so that it look more natural. I also explain the specular level differences between skin and fabric when exposed to light. Also how strong light and shadow will create dramatic lighting on the red hat lady illustration. This tutorial focuses on light and shadow. I used the Big red hat to create contrast on her skin. 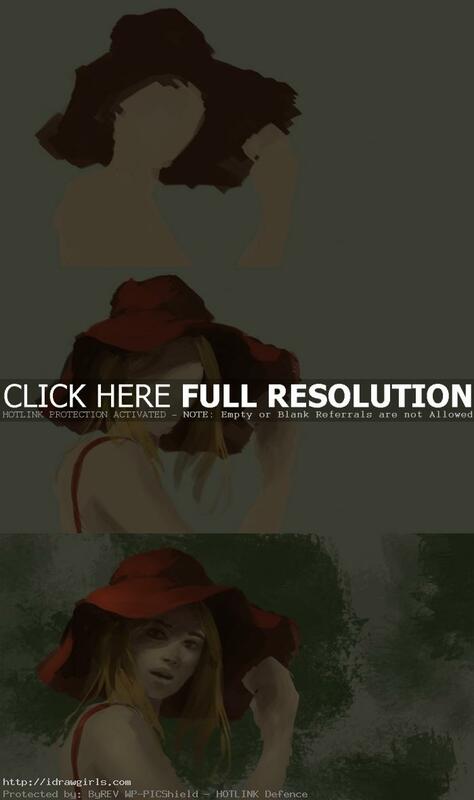 This quick speedpainting is also from one of my daily speedpainting, girl in a red hat. Then I decided it could be used to show my approach to skin. This piece is basically my experiment or exercise on utilizing light and shadow on the illustration. I wanted to do a portrait that half way in the shadow. This painting takes about an hour or so to finish. I have a vague idea of a girl wearing a huge red hat in the sun. Basically I usually start off with simple shapes of shadow and light. Then I will flesh out the idea with detail and lighting. Hopefully I will find more ways to utilize shadow and light like this one again. It was fun to do. This tutorial focuses on light and shadow. There are three types of shadows. First is form shadow. Second is cast shadow and occlusion shadow. 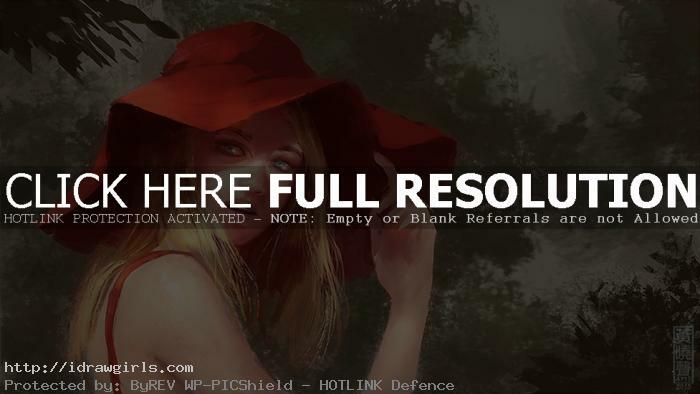 Here is the final image of a quick painting a girl in a big red hat. Below are step by step painting process images.